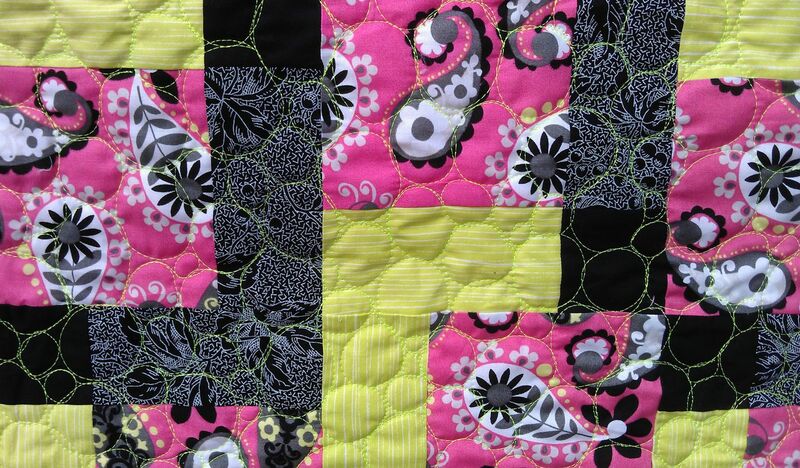 And then there are the quilts that are just so bright and, well, jolly! This was one of them. 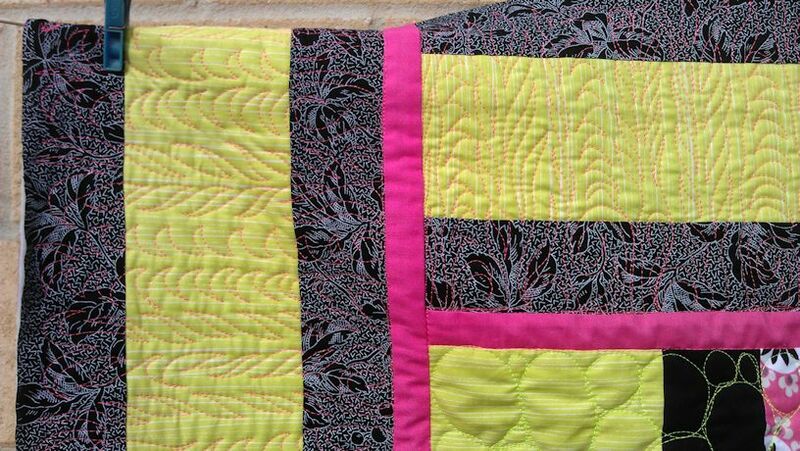 Who’d have thought that flouro lime green and bright pink would go together? But with the addition of black, they sure did. But how to quilt it? 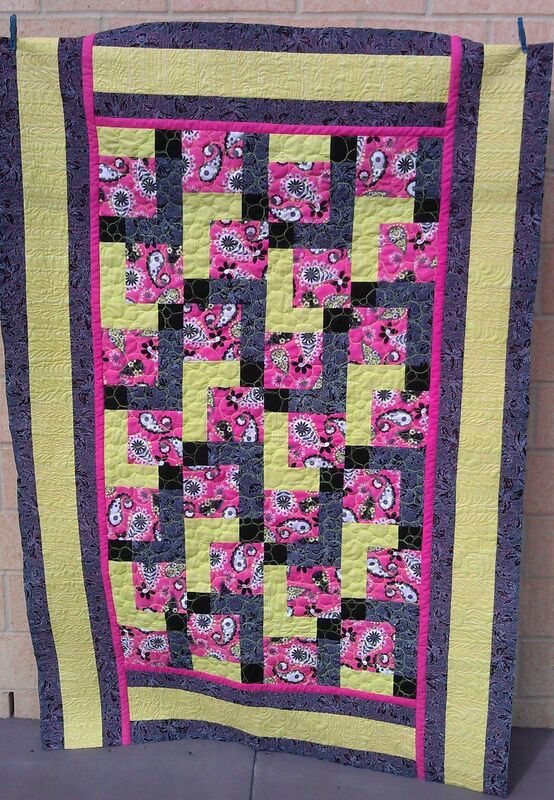 I thought about emulating the paisley motif in the pink fabric, or doing just straight lines (a la modern quilts), but ended up opting for largish circles in a neon/fluoro lime green thread in the main top, then a sort of ‘stem and leaf’ motif in neon/fluoro pink in the borders, leaving the solid pink border empty of any quilting. I had fun doing the circles, but the stem/leaf borders took much longer than I expected. 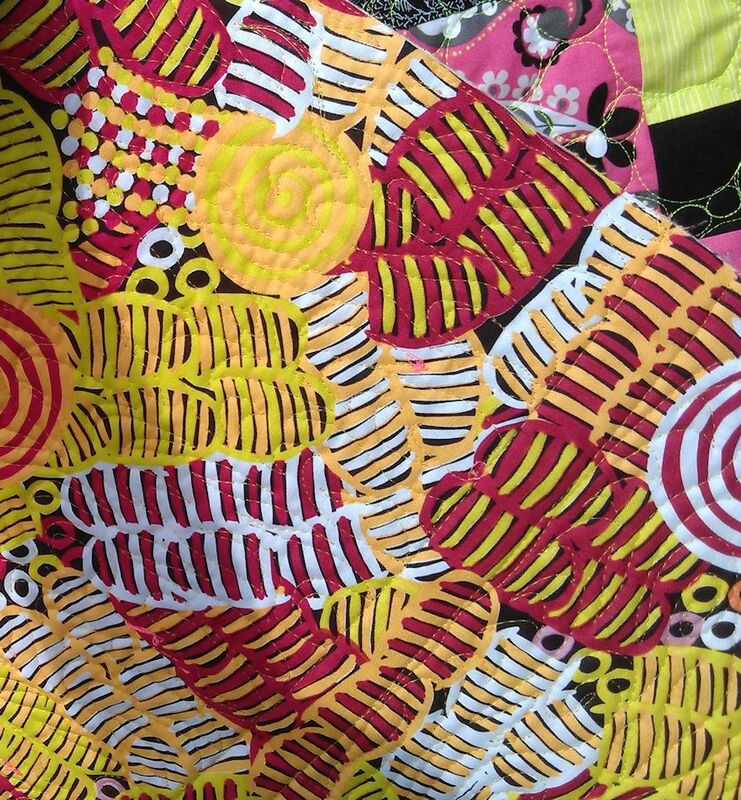 I also loved the Aboriginal design backing fabric on this quilt, and felt it was a bit lost there — it would make a good quilt in its own right.